This piece is made from antique wood and is another timeless classic. The cottage chest of drawers as well as the rest of the cottage line, reminds me of summers past on the shores of Cape Cod. This furniture captures the essence of simplicity and tranquility. Hand made to be sturdy and functional, from solid wood, this is a rare opportunity to own a piece of furniture made in the United States by a true craftsman. 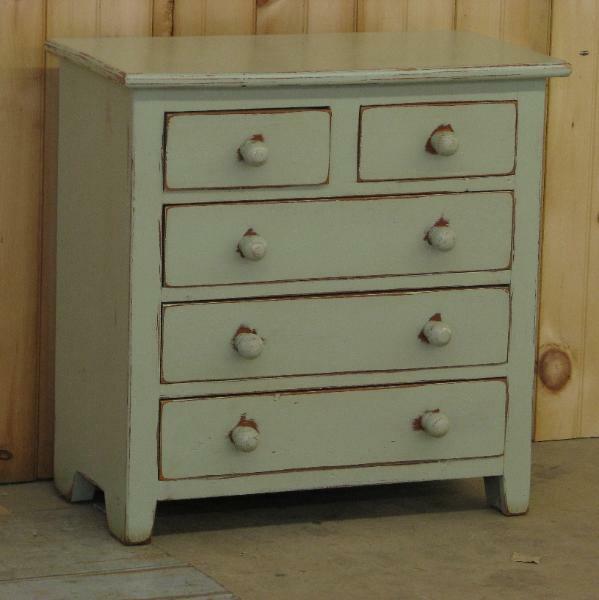 This chest dresser comes in many different cottage theme colors. Color choices are not limited to those shown. Let us know the color you would like and we will custom paint your dresser. This piece can also be stained.